Having serious qualms about a decision? That probably means it's big. “I’ll come to the next one.” That’s usually the line I get when I put an event for sale. When it comes down to this fear of making a big decision, and I know I’ve been there. When I hopped in an airplane 6 years ago when I went to my first big conference in America, it was a big deal. But right now, you have the opportunity to come to SuperFastBusiness Live in Manly and I encourage you to come. If you’re a little bit uncomfortable about it, then that just means, it’s a big decision. It also means that the results you’ll get as a result of coming to the event will probably be huge. 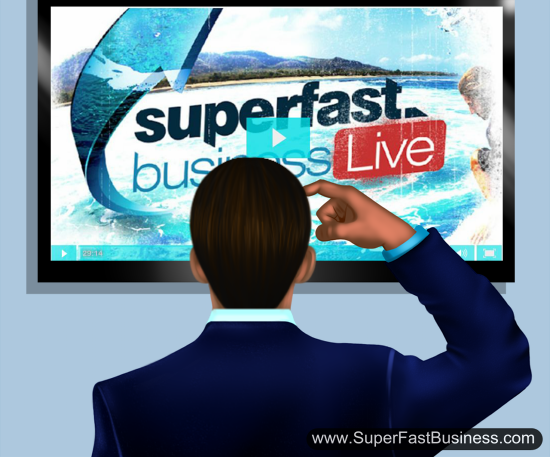 So I really hope to see you at the SuperFastBusiness Live because we know the date, we know you can come to this one. And if you’re one of the people who said to me, “I’ll come to the next one,” and any of the years prior, well you know that it’s time to come to this one. I’ll see you there. I’m James Schramko, thanks for watching. You’re welcome to comment below. It is getting into that exciting phase! I like the out-of-focus background… no distractions and to the point. Looking forward to the event too. Great video, I am currently looking at doing more for my part of the business. I am a great fan of doing things outside my comfort zone, but still get nervous when it come to it. Well done Greg. That fear is to stop you getting hurt. It also hurts you because you can miss out on what is possible!